A virus that had once been contained has returned, and soon no place will be left untouched by its destruction. But when Cheyenne wakes up in Elysian Fields–a subdivision cut off from the world and its monster-creating virus–she is thrilled to have a chance at survival. At first, Elysian Fields, with its beautiful houses and manicured lawns, is perfect. Teo Richardson, the older man who stole Cheyenne’s heart, built it so they could be together. But when Teo tells Cheyenne there are tests that she and seven other couples must pass to be worthy of salvation, Cheyenne begins to question the perfection of his world. The people they were before are gone. Cheyenne is now “Persephone,” and each couple has been re-named to reflect the most tragic romances ever told. Everyone is fighting to pass the test, to remain in Elysian Fields. Teo dresses them up, tells them when to move and how to act, and in order to pass the test, they must play along. If they play it right, then they’ll be safe. Add THE DOLLHOUSE ASYLUM to your Goodreads shelf. About the Author Mary Gray has a fascination with all things creepy. That’s why all her favorite stories usually involve panic attacks and hyperventilating. In real life, she prefers to type away on her computer, ogle over her favorite TV shows, and savor fiction. When she’s not immersed in other worlds, she and her husband get their exercise by chasing after their three children. 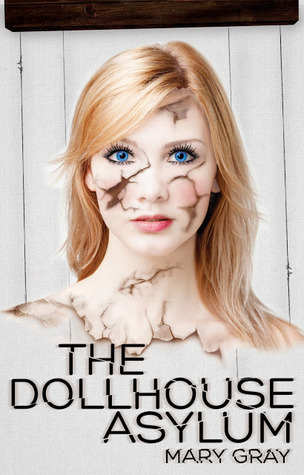 THE DOLLHOUSE ASYLUM is her first novel. To celebrate the release of THE DOLLHOUSE ASYLUM, author Mary Gray is giving away one signed copy of THE DOLLHOUSE ASYLUM (U.S. only) and an unsigned copy of THE DOLLHOUSE ASYLUM (open to all). Ends 10/23/13 (midnight).